Get in touch with nature at Nature & Wildlife Tours and Trin Warren Tam-boore. Relax by the water at St. Kilda Beach and Half Moon Bay. Get out of town with these interesting Melbourne side-trips: Devilbend Natural Features Reserve (in Moorooduc), The Great Ocean Road (in Torquay) and Yea (Yea Wetlands & Y Water Discovery Centre). 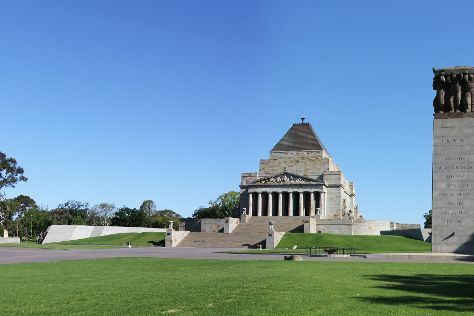 The adventure continues: learn about all things military at Shrine of Remembrance, explore the world behind art at National Gallery of Victoria, admire the natural beauty at Royal Botanic Gardens, and identify plant and animal life at Moonlit Sanctuary Wildlife Conservation Park. To see other places to visit, photos, traveler tips, and more tourist information, read Melbourne vacation maker site . If you are flying in from United States, the closest major airport is Melbourne International Airport. In February, plan for daily highs up to 81°F, and evening lows to 57°F. Finish up your sightseeing early on the 23rd (Sat) so you can travel back home.